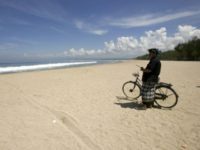 Internet services in Bali, Indonesia, will be switched off for 24 hours on Saturday to mark Nyepi, an annual “sacred day of reflection,” according to the Guardian. 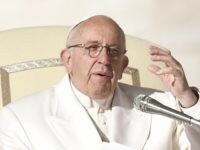 We have the duty to “expose attempts to justify every form of hatred in the name of religion,” Pope Francis told a group of political and religious leaders Friday, insisting that all religions want peace. A regional chief media coordinator for India’s ruling party, Suraj Pal Amu, offered a 100 million rupee ($1,542,615) prize to anyone who would behead starring actress Deepika Padukone and director Sanjay Leela Bhansali for the film Padmavati, a period epic depicting the life of the Rajput queen Padmini. Pop singer Katy Perry has come under fire this week after sharing an image of a Hindu goddess on her Instagram page. 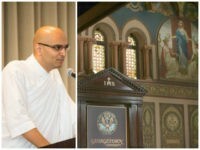 The Jesuit-run Georgetown University has become the first Catholic college to hire a Hindu priest as chaplain, with Brahmachari Vrajvihari Sharan leading his first worship service for students on Sunday. 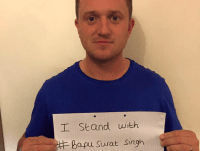 Indian lawyer Chandan Kumar Singh has attempted to file a lawsuit against the Hindu God Ram over mistreatment of the god’s wife, Sita. 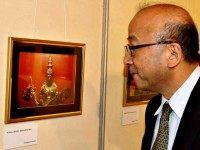 The Indian Museum in Kolkata has inaugurated an exhibition celebrating the worship of Hindu gods in Japan, a centuries-old tradition fueled by religious syncretism as Japanese worshippers have blended Hinduism into Buddhism and Shintoism. 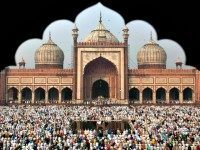 Pew: Muslims, Hindus Most Pro-Immigration Groups in U.S. 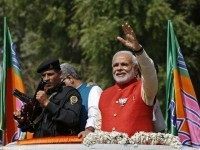 In Hindu-controlled India, over 1,000 Muslim leaders and scholars have sanctioned a religious ruling, or fatwa, against the Islamic State as contrary to the true teachings of Islam. 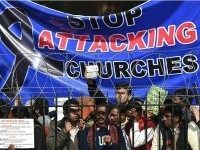 In the space of just five days, from May 10 to 15, 2015, Hindu Fundamentalist groups have carried out five separate attacks against Christians in their places of worship in the central Indian state of Madhya Pradesh, which is under the authority of the ruling Hindu nationalist Bharatiya Janata Party (BJP). 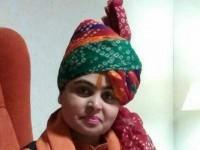 Deva Sadhvi Thakur, the vice president of the radical Hindu group “All India Hindu Mahasabha,” has launched a series of proposals to curb “threats to the Hindu population of the country,” including forced sterilization of members of minority religions and the installation of statues of Hindu gods and goddesses in churches and mosques. 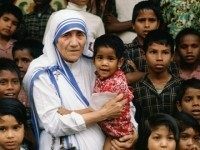 The head of the Indian Hindu nationalist group Rashtriya Swayamsevak Sangh (RSS), Mohan Bhagwat, took a swipe at the late Mother Teresa of Calcutta on Monday, claiming her motives for serving the poor were selfish and undermined her cause. 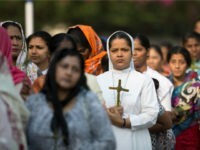 Two high-ranking Vatican officials who were slated to address the national assembly of India’s Conference of Catholic Bishops (CCBI) in Bangalore this week have been denied visas by the Indian government. 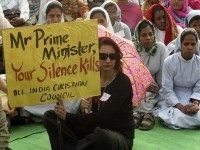 The Islamists hacked her to death in broad daylight in Bangladesh and held the horrified onlookers at bay with firearms. 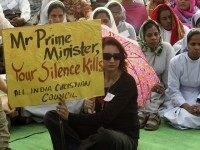 A young Hindu couple in the Punjab dared to marry for love—but without permission from the bride’s family.